Let’s say you have a nice little flock of chickens and find yourself really wanting to step it up and provide them with a nice coop. Well, you can either go out and buy one, or you can decide to make it yourself. With the latter, you are able to make sure it’s exactly what you need in a coop for your chickens and your circumstances, but it isn’t as simple as just making the house and walking away. 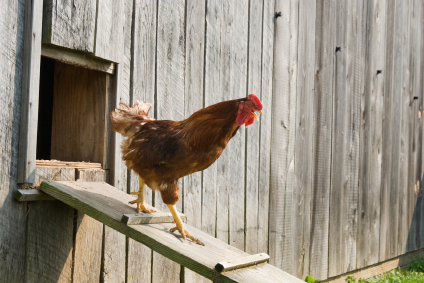 Here are some things to consider when building your own coop. Before you begin, you will need to know the most important aspect: Can you build a coop on your property? 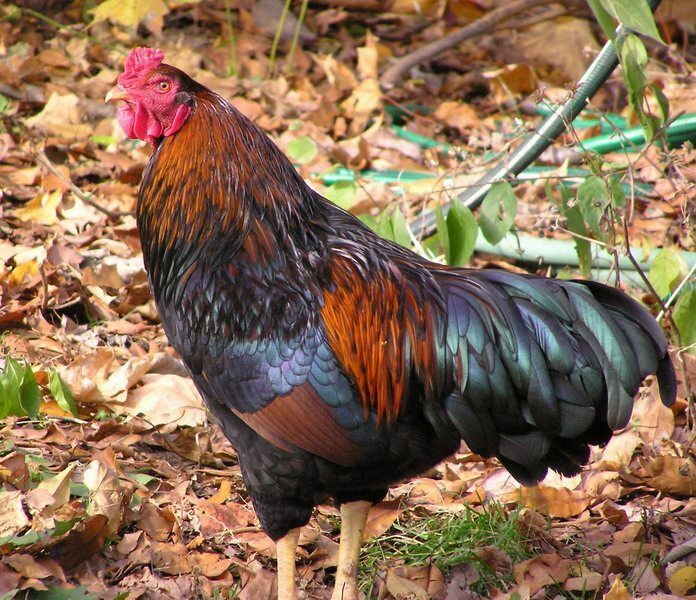 Most of the time, small hen houses are allowed without the need of anything particular, but when building your own coop the desire is typically to go bigger, thus meaning that in most areas you’ll require a permit before you can legally build it. This simply requires getting building permits, usually involving simply showing your coop plans and then requesting the needed allowance. In most cases you won’t have a problem, but be sure to check it out just in case. Once you’ve confirmed you can build, you need to select the proper location for the coop. There’s actually a bit more planning here than you’d expect. Yes, you can just decide to locate the coop in the most convenient place, but the best spot is one that allows the front to face south-east, allowing the chickens to get the benefit of the morning sun without the afternoon heat as much. Also, don’t place it in someplace that’s typically very drafty since that can lead to a lot of problems. It’s best to find it some enclosed space. When going ahead with building, most people decide to go with wood as that’s the standard material used in the majority of hen houses, but the preferred material is actually brick. If you’re capable of bricking the entirety of the stricture, absolutely do so! Also, make sure to accommodate yourself in the mix as you’ll generally be the one cleaning the coop, so be sure to make the ceiling high enough that you can comfortably stand up. The same should apply to the door, so build it wide enough that you can get in and out without difficulty. Once bricked, add a layer of stucco to the inside for insulation and then paint the outside with a good color of your choosing. Perhaps the most important aspect to consider, proper ventilation can make all the difference between a sick chicken and a healthy one. 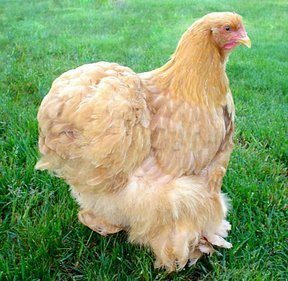 You need to make sure that there is proper airflow within the coop, but also that it isn’t so drafty that your hens and roosters will become ill. If you don’t usually get a lot of airflow on your farm or in the particular space you’re building, you can sometimes get away with the whole front of the coop being just mesh or chicken wire, but most times you’ll need to install a window or two. The window method works great as it gives you the option of closing the windows during extremely cold weather or opening them up during the hot times. However, you may also want to install a basic ventilation fan if there’s a real air circulation problem. It’s a good idea to make sure your coop has the means to install heat and lighting, so you’ll need to equip it with at least basic electricity or a heavy-duty extension cable. It’s helpful mostly during the winter months as being able tin put in a small heater keeps the flock warm whereas lights can extend the hens’ day, allowing them to lay more eggs instead of going to sleep earlier. This is definitely a part that you shouldn’t attempt unless you’re a trained electrician, so at the very least have a licensed electrician come down and take a look at your plans and your finished work. The final bit to make sure you have right is the opening that your chickens will use to get into and out of the coop, also known as a pop hole. You’ll want to keep it slightly off the ground to prevent a draft, so about a foot or two should be great, and then make sure that you have a means of closing said opening when you want to either prevent freezing weather conditions or predators from getting inside. A simple latch should do nicely here, but be careful not to trap your hens in for too long. Even though it’s called a coop, being cooped up can definitely stress a chicken out. With this advice in mind, go forth and build your coop with confidence! Doing it right can reward you with a wonderful home for your chickens, so make sure to put forth your best foot and plan accordingly.